Tarek Chemaly: #GoGetProud - the perfect pride message coming from Canada. #GoGetProud - the perfect pride message coming from Canada. I was not very enthusiastic about the first Beirut Pride. Of course, I thought it was a timely, important event but I still thought it was preaching the converts. One of the organizers reached out to me, told me how different it is, etc.... Apparently religious authorities went bersek too about it (note, both sides of the spectrum only unite when their own hegemony is in danger). The UK and Netherlands embassies planted rainbow flags next to their own in solidarity so did fifteen pubs in Mar Mekhael (using the rainbow flag) to show solidarity - when suddenly the government got cold feet about insuring the security of one of the events of the Pride. I also have posted recently about LGBTQ character inclusion in Lebanese ads. Which I still think the hero of which is the smart Aizone ad which showed "vote for tolerance" via characters who happened to be bisexual and homosexual. Being a teacher in an art department, the kind that attracts rather liberal students more often than not I run across students trying - struggling rather - to find their sexual identities. All of this introduction is to pave way to the very interesting and real ad about Gay Pride. Of course my shame is that when Pride happened next door to me I was lukewarm about it (my argument was that it failed to portray gay, bi, queer people as just "people" and that it did not trickle down to the average Joe with his homophobic stances). Actually the genius of the Harvey Milk slogan "comeout, come out, wherever you are" was exactly that - anyone from your librarian to your friend or your dentist could be gay. But that ad - which comes from Canada (watch it entirely here, it is gripping to be honest) nails it perfectly. 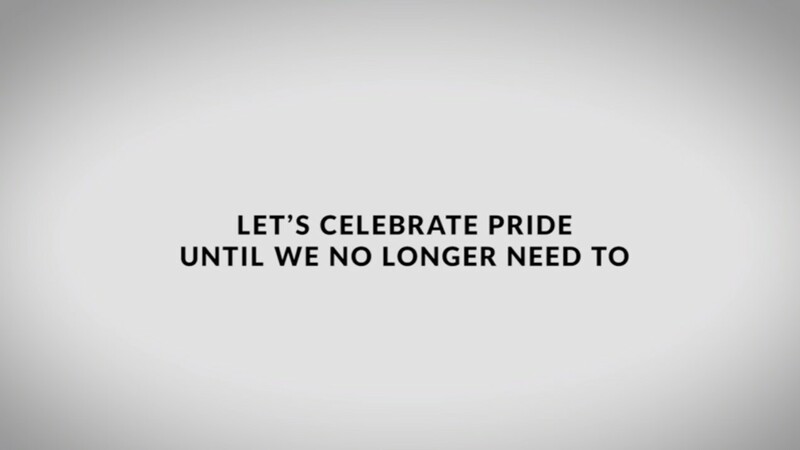 I like how the ad builds up to get to "let's celebrate pride, until we no longer have to". Sadly, and this is something I said before, feminism and queerness identity are OK if they do not happen within your own family. Interestingly, I sadly know I too am preaching the converts via this blog - if you did not have a pseudo-liberal mindset you would not be reading this. Mind you, when there was this wave of women who were killed by their partners a few years back (and the backlash which followed and which has since subsided), one of them was my second-degree cousin. So yes, these things happen in all families, even those with people who have a liberal mindset.